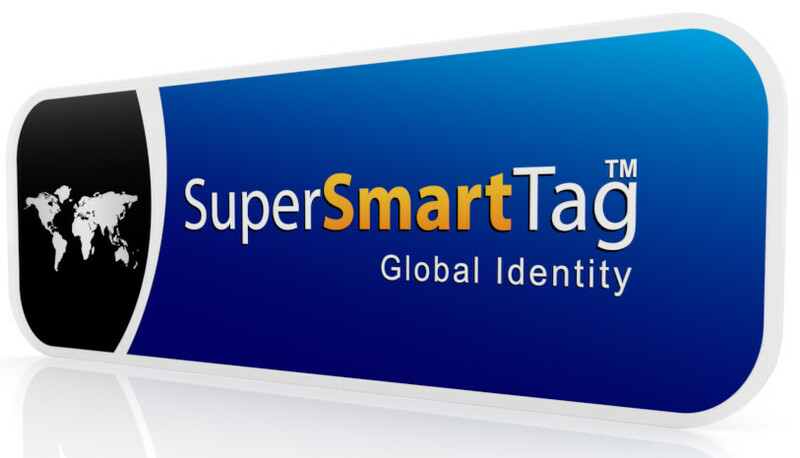 Classic tags are our original tags. 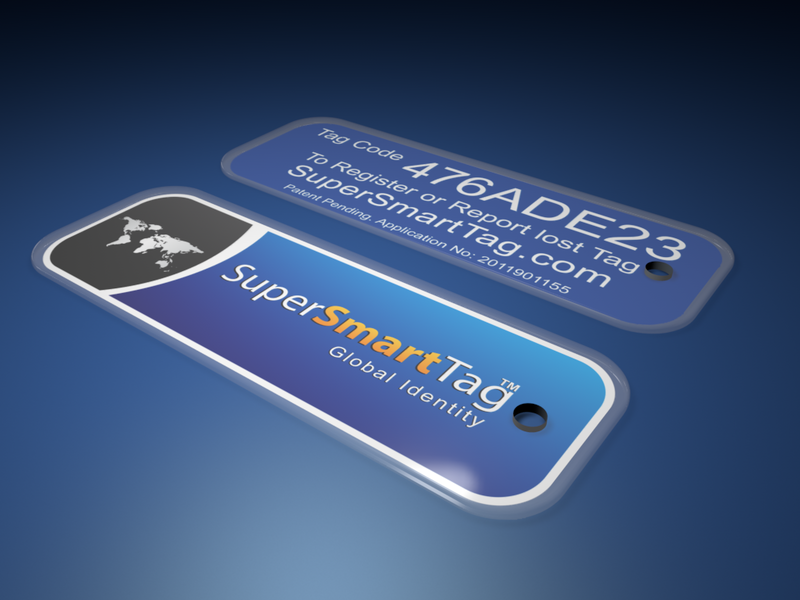 They are simple but sleek and look good on your luggage. 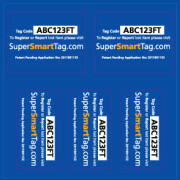 Classic Tags come with our famous security code and include 3 years coverage. 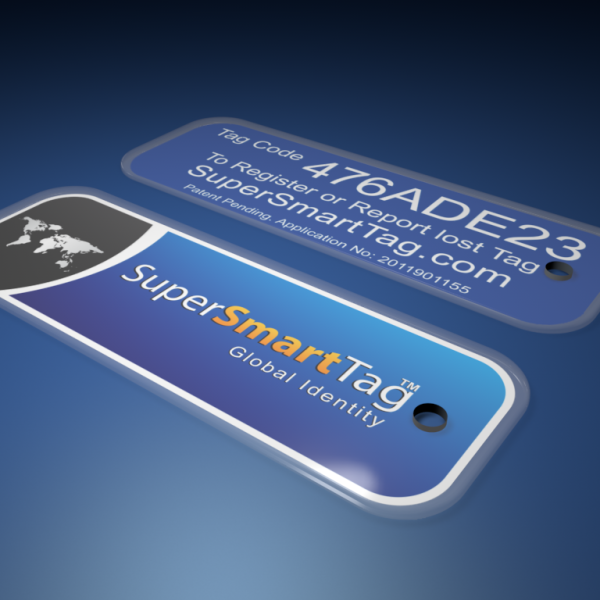 A classic tag will greatly reduce the chance of someone taking your bags by mistake and are designed not to fall off like paper tags so often do. 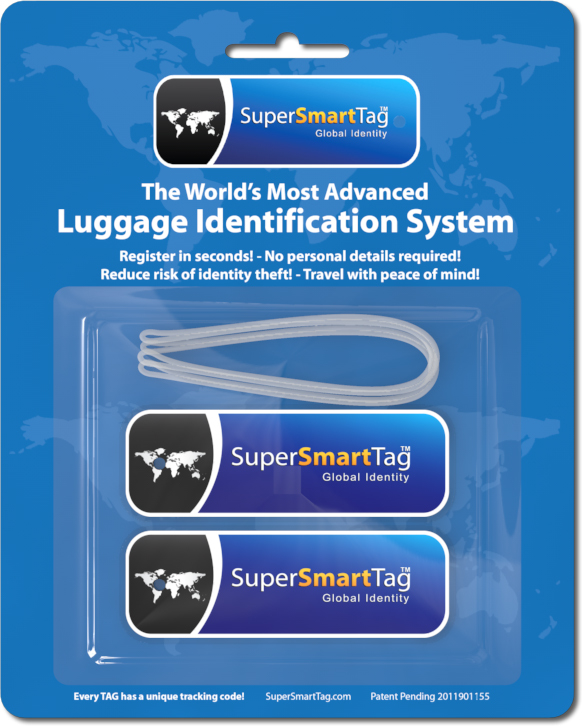 Lost and missing luggage is one of the biggest concerns of today’s modern traveler. 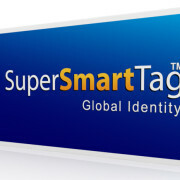 If you are planning a trip, you should take precaution and order your SuperSmartTag today. 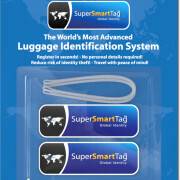 SuperSmartTag is the safe simple solution and must have luggage tags ideal for airline passengers. 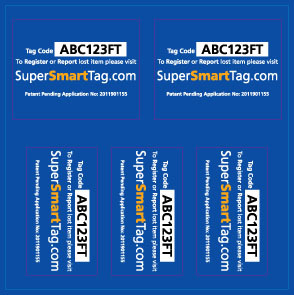 Each Tag has a unique tracking code that allows airport lost and found staff to trace your contact details and anything that can be left behind or lost during travel. 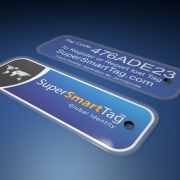 Each Tag includes 3 years global coverage from date of registration. All prices are in U.S. dollars. This unique product is not available in store. 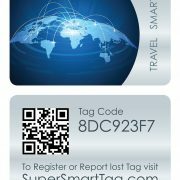 3 YEARS GLOBAL COVERAGE FROM DATE OF REGISTRATION!